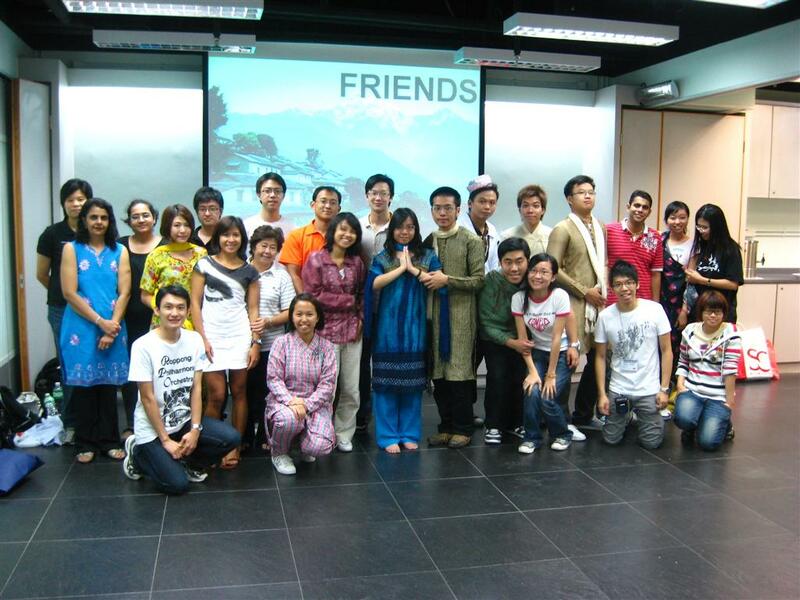 Hong Kong Christian Service South Asian Happy Teens Club (SAHTC) is a specialized project aiming at engaging young local South Asians who live, study or work in New Territories West. SAHTC intends to offer holistic intervention and support for the nurturance of happy and healthy South Asian youngsters so that they can become contributive and socially integrated members of the society. Since the start of SAHTC in October 2008, we offer a wide range of services including counseling and referral, after-school support, career guidance programs, programs for developing interests and potentials, adventure-based programs, mutual support and volunteer groups etc. We also witness the growth of many South Asian youngsters in our work with them. Amy is a Form 2 Nepalese student and comes from a single-parent family. As Amy’s mother works for long hours everyday, Amy is always left alone without guardian. She feels lonely and is desperate for no one to help her on homework. She does not know how to and where to seek help due to language barrier until she met SAHTC staff. When we first met Amy a year ago, she was idling in the park with some friends. She was very quiet and was not willing to talk to us. She rarely carried a smile on her face and she looked so unhappy most of the time. However, she turned to become more willing to visit SAHTC because of the unfailing care and encouragement from our workers. In her spare time, she came to SAHTC to do homework, to meet friends and also join in programs. She even became one of the active members of our dancing team. She tried her best to practice her skills and had several performances in the community. Amy is now a cheerful and confident girl, always smiling. Saga is a Form 5 Indian student. Like many of his classmates, Saga encounters difficulties in using Chinese, he feels hard to make Chinese friends due to language barrier and he worries about his future, as he knows that proficiency in Chinese is important to secure a decent job in Hong Kong. Not like some of the ethnic minority youngsters who might lose their motivation and aspiration to their future in view of barriers, Saga is very positive and motivated in planning his good future. Ricci is an 18 years old Nepalese. We met him during our outreach work in the community and he was not feeling easy to talk with us in the beginning. It took quite some time for us to build up trustworthy relationship with Ricci and he started telling us his stories. Ricci was not born in Hong Kong; he came in his 13 for family reunion. Being a new arrival, everything in Hong Kong is strange to him. The language, people, places, school curriculums and even his family members (for separating from each other for some time) are weird to him. He tried very hard to adjust to all these challenges and he found a school placement. However, he finally quitted the school after 2 years when his reached 15 because he could bear no more frustration bringing from academic underachievement. With very limited support from his social network, Ricci lost his direction. He got used to hang around in parks and cyber café and made some friends who contaminated him to take drugs. He had taken drugs for several years and he was under drug treatment when we met him. He really hoped that his family would support him during the process. In his difficult moment, we tried to work on better relationships between Ricci and his family as well as helping him to find jobs as he wishes. Manlip is a 16 years old Nepalese. We also knew him during our outreach work. He was neither working nor studying after completing Form 3 and was hanging around with friends all the day. We later knew that Manlip had thought of finding a job but failed due to his poor language proficiency and academic qualification as well as employers’ resistance in hiring a person from other ethnicity. He had no choice but idled around with friends. He was discouraged and lost his motivation to make change after a long period of engaging in nothing. Care, encouragement and support were what Manlip needed, therefore we helped him to review his conditions and make plan for better future. Later, he actively paid visits to various vocational training organizations and even attended some job interviews. South Asian youth in Hong Kong need to face challenges in the process of growing up, such as relationship with family, peer relationship and formation of self-identity, just like their Chinese counterparts. However, being an ethnic minority living in a community that is dominated by Chinese culture, they encounter even more challenges. The stories of Amy, Saga, Ricci and Manlip are actually typical situations of the South Asian youngsters living in Hong Kong. Their stories reflect some of the difficulties affecting their growth in Hong Kong such as language barrier, inadequate information, lack of opportunity for development, lack of support and, lack of understanding and acceptance from local people etc. As many of the South Asian youth are not good at Chinese, they hardly get access to useful information and resources that are related to their development. Without enough knowledge about resources on education, employment, social welfare and law etc., it is more difficult for them to make suitable choices as well as unaware of their rights and opportunities. In fact, opportunity and choice in education, vocational training and work are limited for them due to language barrier too. It is no doubt that a sense of “No Future and No Hope” would develop if the above situations remain unchanged. Just like their Chinese counterparts, South Asian youth also face impacts bringing by their development stage. However, the aforesaid difficulties bring more obstacles in their growth process. Weakened family and social network, limited community information and resources are critical factors that reduce South Asian youth’s resilience to negative influences and cause negative effects on their adjustment and development in the long run. Although the problem of discrimination has improved a lot recently, there is still a long way to go for ethnic minority youth to get integrated into Hong Kong. There is only a small portion of local Chinese who are ready and active to approach them. A large portion of local Chinese is still not ready because of lack of understanding on them. The most suitable place for ethnic minority to integrate is “schools”. However, in many schools with ethnic minority youth, local Chinese and ethnic minority students are usually separated into different classes. The result of such arrangement is that Ethnic Minority and local Chinese continue to stay in their own network. Doubtless, Hong Kong’s social structure has played a role in causing the mentioned barriers. 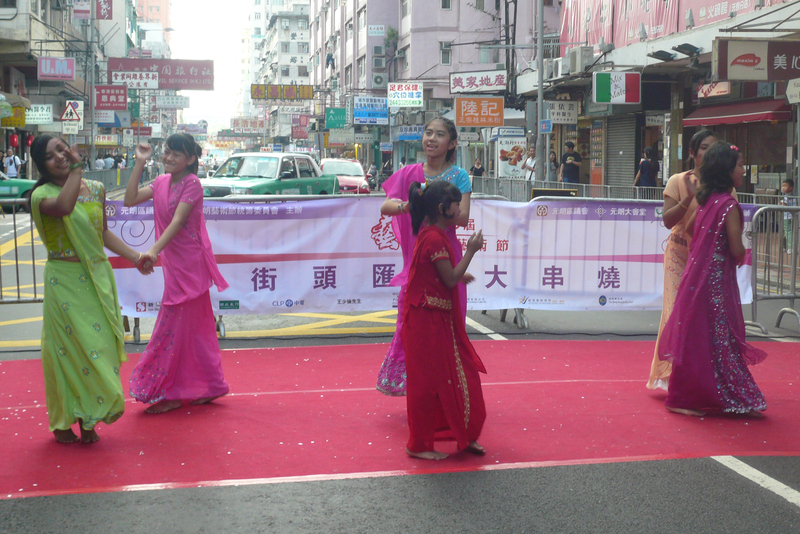 As a society dominated by Chinese cultures and language, most of Hong Kong’ policies were made according to the characteristics and needs of the majority but not the minority (including South Asians), thus might not fit the needs of the latter. Regarding recent increase of South Asians’ population, more comprehensive education, labor and welfare policies taking consideration on the particular conditions and needs of the ethnic minorities are very vital so as to create a more equal environment for the minorities’ development. We believe that South Asian young people could develop and use their potentials with enough platform and opportunities. They could grow up happily and make contribution to Hong Kong in future. 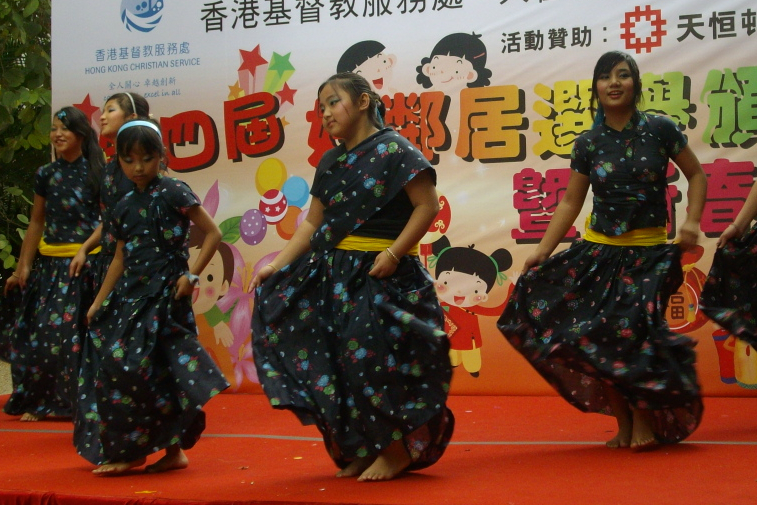 Before setting up of SATHC, there was no tailor-made project to address the special disadvantaged situations of South Asian youth in Hong Kong. 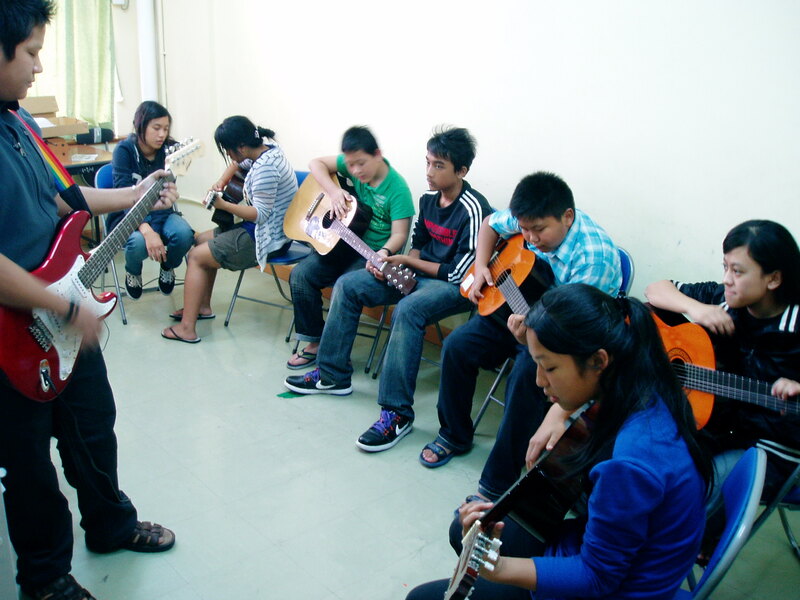 SAHTC is a result of quick and efficient response of both Hong Kong Christian Service and Fu Tak Iam Foundation Limited in identifying and responding the needs of this specific group. As the operator of this special project, we appreciate the generous sponsorship from the Foundation and also thanks for facilitating the development of special support on the ethnic minority young generation. We are looking forward to seeing that this cross-sector collaboration could bring brighter future to these youngsters. In future, SAHTC will continue to a wide variety of services to the South Asian youngsters. We will also enhance our work on motivating the youngsters in caring for the society and important social issues as well as voicing out their opinions. We hope to see their active involvement in creating better developmental environment for themselves in Hong Kong.